On 26-27 November, the 3rd MENA VAT took place in Dubai. 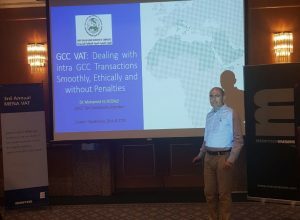 On Monday 26 November, Mohamed El Fezzazi delivered his speech on “GCC VAT: Dealing with intra GCC Transactions Smoothly, Ethically and without Penalties”. 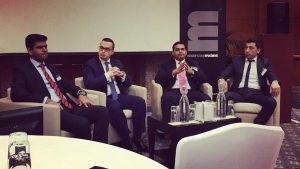 The same day, Jawad Inam and Glenn Luxem were both involved in the panel discussing on “Correlating the Impact of VAT on your Business Workflow”. Mohamed Fayçal Charfeddine, on Tuesday 27 November, shared his thoughts in the panel “Zooming in on the Applicability of VAT in Different Industries and Zones”. We are extremely proud of our members activity in the Region. Take a look at the 2018 Program!